If there’s a honeycomb in your neighbourhood, on the top of some tree hidden behind the leaves that only when your tree-house is completed that you actually find out they are your neighbours, then you must be well-familiar how hard-working those bees are. They leave their home early in the morning just like your dad; reach out to new flowers each day, sip in their nectar and return back to their colony. Their routine is as-strict-as-fixed with no Sundays and no sick leaves. So you can imagine what their reaction would be when someone steals that “precious honey”; it’s literally nectar to them. Aggressive by nature, an alien figure around their nest is enough to raise their temperament beyond the measurable range. But I think someone has managed to cheat the security and enter the fortified city to grab a handful of “sweet-nectar”. Would you help them to get it back? Don’t worry; you won’t have to actually cooperate with a honey-bee. It’s an Android app I’m talking about. It’s called Bee Jump that has been developed by SoftUps. The app is compatible with all the devices running Android 2.3 or any later version of the OS. 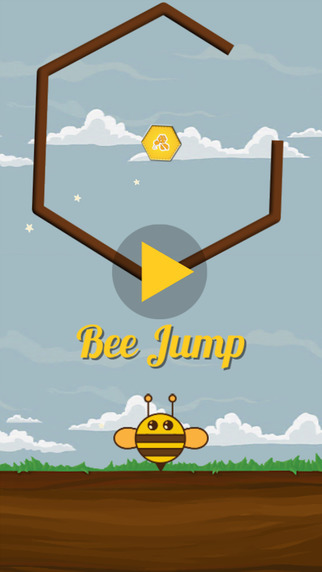 With the very first attempt at Bee Jump, you’d figure out that this is too difficult a challenge to consider your left hand for. Though it takes nothing more than a tap at the screen, but you need sheer determination and concentration to even get the first natural number on the score-sheet. There is a honey comb rotating at the top of the screen with one side open and in the middle of it lies the honey. So your job is to enter the comb, take the honey and move to the next comb in the vertically upward direction. 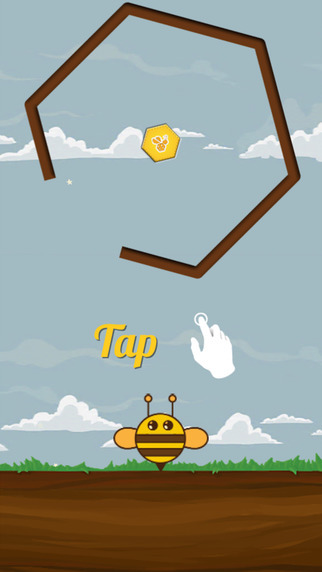 All you have to do is tap at the screen which will make the bee jump in the air. 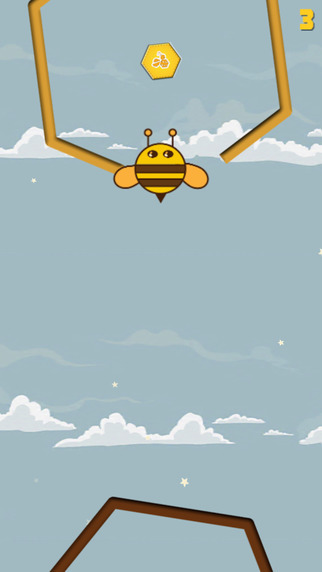 The longer you keep tapping, the longer the bee will keep flying higher. But the actual difficulty is to find the right balance between the tiny moments when you have to take your feet off the accelerator and let the bee come down a little. A slight miscalculation is enough to take you down to the bottom of the graph again. So are you up for the challenge? With minimal graphics and a neat & clean interface, this game is pure at its core. The game’s at the centre and there’s nothing else on the periphery. The animations are smooth and vibrant colours leave behind a soothing effect. The gameplay is addictive and the developers have made sure that you can enjoy this game at short breaks in-between your busy schedule. So what are you waiting for? The app is available for free in the Play Store and you can play this app with your pockets zipped as there are no in-app purchases. 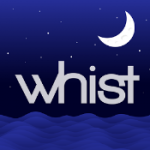 Pros: minimal graphics; smooth animations; neat & clean interface; addictive gameplay; free.